Personal brands aren't just for Instagram influencers. 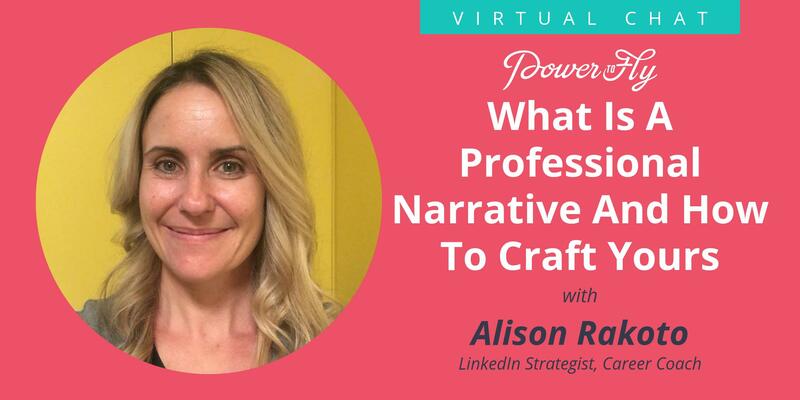 The ability to craft your own professional narrative will help you shine during any application process - jobs, conferences, fundraising, etc. Learn how to become more confident in your professional story and use your unique career path to shape your destiny in this live Q&A;! I've been out of work for 2+ years to raise a family - how can I include this in my professional narrative? How do I show my uniqueness on my resume or LinkedIn profile? Alison is a career coach, mama, and yogini with a holistic view of work and life. She firmly believes that there is an opening for each of us to create a career we love; and that LinkedIn is a crucial and amazing tool that can make this happen with ease. Alison's dream is to transform the world of work for women around the world, she's been on LinkedIn since 2005 and has watched 100s of people transform their careers with a little LinkedIn finess. As a career coach and strategist she is here to support you on your journey, inviting you to connect on LinkedIn, subscribe to the Career Compass, her monthly newsletter, and ask questions when you need. Alison works remotely, splitting her time between Boulder, CO and Fort Dauphin, a coastal town in the southeast of Madagascar.